Getting enough sleep is key to our general well-being, but you might not have realised the massive impact it can have on your performance on the field. In this article we’re going to explore why it’s so important and what sort of benefits it can have on your game. When it comes to preparation for sports, we talk about physical training, about nutrition and hydration and about the mental side of things, but one area that often gets neglected is sleep and rest. There is no good reason for this, sleep and rest are key components of athletic performance and every bit as important as any of the other factors that get much more air-time. 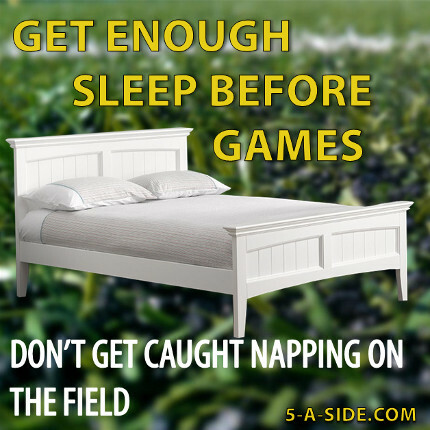 For instance did you know that a study published by the American Academy of Pediatrics showed that adolescent athletes who slept eight or more hours each night were 68 percent less likely to be injured than athletes who regularly slept less? Tennis players get a 42% boost in hitting accuracy during depth drills. Sleep extension provides swimmers a 17% improvement in reaction time off the starting block. [American] Football players drop 0.1s off their 40-yard dash times by sleeping more. Though none of these results are specific to soccer, it’s not too much of a stretch to believe that these findings on accuracy, reaction times and decision-making could all reasonably translate across to forms of soccer. How much could a 42% increase in accuracy improve your 5-a-side?! Sleep loss can mean an 11% reduction in the time to exhaustion. 2 days of sleep restriction can lead to a 3x increase in lapses of attention and reactivity. Maximum bench press drops 20lbs after 4 days of restricted sleep. Perceived exertion increases 17-19% after 30 hours without sleep. That’s pretty conclusive that sleep directly impacts your performance on the field – no wonder that most top athletes already recognise this. Sleep isn’t just the difference when it comes to violin players. It goes for all areas of expertise, not least sports. When Ankerson spent time with both the world renowned Kenyan and Ethiopian distance runners, he found that in their training regimes they value rest and recovery in a way that few people do in the West. Could that be one of the reasons they succeed in out-running most of the athletes in the Western World? If you didn’t already click on the infographic, now is a good time to do so. In it you’ll find some interesting information on how much the top athletes sleep – in the vast majority of cases it is over 8 hours a night. How do you compare? Most people reading this blog aren’t training like professional athletes, and the idea of spending sixteen hours a day in bed really isn’t within the grasps of anybody but the unemployed. 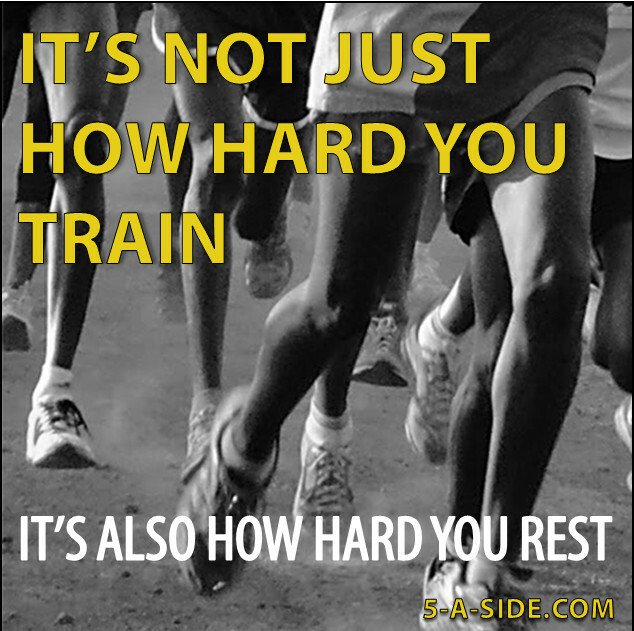 But don’t be daunted by the athletes who are training so hard; many of them need vast amounts of rest. For you, however, the challenge is to get a sufficient amount of sleep in your life to allow you to function at your full capacity as a human being in your job, your social life and your family. In fact, putting aside the considerable research on what sleep can do for you as an athlete, there is now compelling evidence on what sleep (or a lack thereof) can do in your daily life. The studies are numerous, but time and time again it is being shown that in order for our bodies to function correctly we need enough sleep. Anything less than this is jeopardising our long term health. 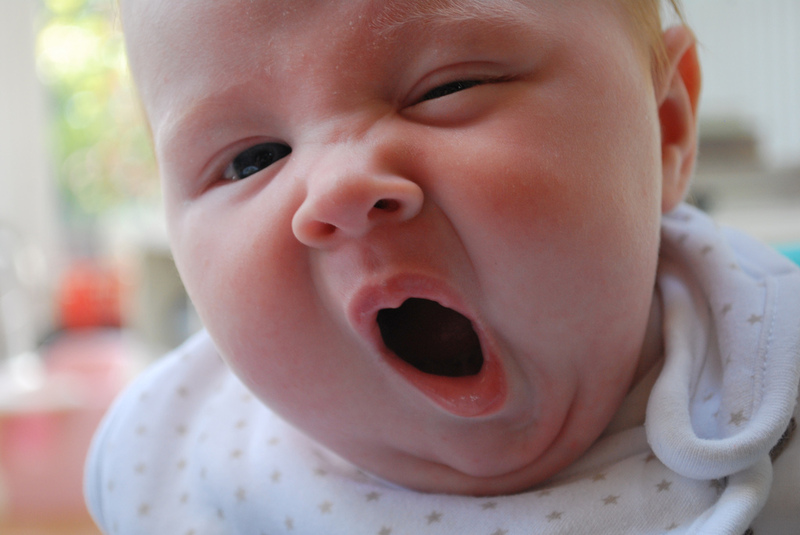 For instance, a study has shown that sleep boosts our brain cell numbers, protecting our brain circuitry. Conversely, lost sleep leads to a loss of brain cells and, worse still, being deprived of sleep has been linked to stress responses, and disruptions in gene function that could affect metabolism, inflammation, and long-term disease risk to body and brain, including potentially contributing to the causes of cancer (per this cheery article in Forbes). In fact, the effects of not getting enough sleep can arguably multiply beyond the direct effects caused by not being able to perform sufficient repair processes to brain and body overnight. In her excellent book, Maximum Willpower, Kelly McGonigal discusses sleep deprivation as a major contributing factor to sapping willpower, which means that your ability to stay away from potential vices such as cigarettes, alcohol, or the wrong types of food is diminished, and your ability to find the willpower to make positive changes, such as sticking to fitness goals, is also at risk. Falling into these willpower traps hits your health even further, beyond the direct consequences of sleep deprivation. “Sleep deprivation impairs how the body and brain use glucose, their main form of energy. When you’re tired, your cells have trouble absorbing glucose from the bloodstream. This leaves them under fuelled, and you exhausted… This is bad news for self-control, one of the most energy expensive tasks your brain can spend its limited fuel on. 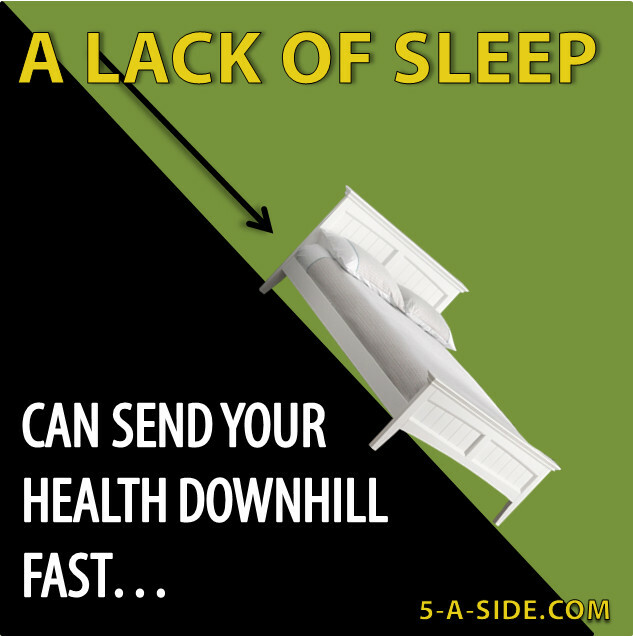 If you want to avoid this negative spiral of poor sleep and poor health, you need to fortify yourself with enough rest. A fascinating study reported on by the BBC asked how much can an extra hour’s sleep change you? It took a group of people who were asked to sleep six-and-a-half hours a night, and another group who were asked to sleep seven-and-a-half hours a night. After a week of doing this routine, the two groups swapped sleep patterns. In computer tests, most participants struggled with mental agility tasks when they had less sleep. Blood tests showed that around 500 genes were affected when the volunteers cut back from seven-and-a-half to six-and-a-half hours’ sleep a night. Genes associated with processes like inflammation, immune response and response to stress became more active. Increase activity in genes associated with diabetes and risk of cancer was also recorded. The reverse happened when the volunteers added an hour of sleep. The number of hours sleep that we need will vary for each of us, but the challenge is to make sure we are getting enough. Spending too much time feeling tired? How much could just one more hour of sleep change your life? Sleep has been shown to be key to sports performance. Not only has it been shown to significantly reduce injuries (by up to 68% in adolescents) but it also provides performance benefits. 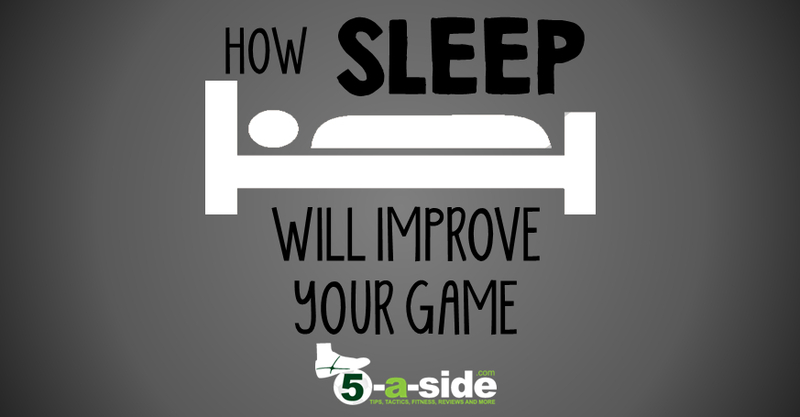 Studies have shown that across a range of sports, a lack of sleep reduces your mental agility and physical capacity. On the other hand, getting enough sleep can provide significant benefits. Tennis players, for instance, were shown to register a 42% boost in hitting accuracy during depth drills. 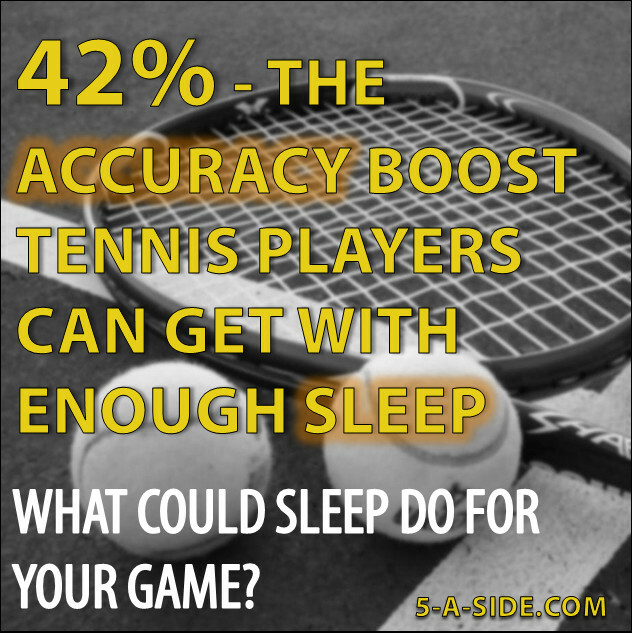 Imagine what getting enough sleep might do to improve your passing or shooting accuracy! Good athletes know that sleep is crucial to sporting performance, but it is also key to our overall health and mental wellbeing. A lack of sleep is associated with the loss of brain cells and can trigger stress responses and disruptions in gene function that could affect metabolism, inflammation, and long-term disease risk to body and brain. In addition, it saps our willpower, which can lead to us slipping into negative spirals that further damage our health. Getting enough sleep is so crucial that even just getting one more hour can quite literally be life-changing. Think: am I prepared to sacrifice an hour’s TV, or internet usage to not only play better sport, but to change my life? It seems a small price to pay. The following books were mentioned in this article; they’re both excellent reads. The physical and mental benefits of 5-a-side: Why you are improving your life when you play the game we love! 14 Essential Secrets to Getting Fit: Our 14 solutions to help you make your fitness journey as painless as possible. Why 5-a-side is better than 11-a-side: Why you should be playing 5-a-side. Very detailed article Chris and a very interesting read. Sleep (or the lack thereof) is something on my mind a lot of the moment, due to the recent arrival of our daughter, and the impact of insufficient sleep my day to day functioning is tangible. One area that is quite often overlooked is the power of naps. In a post by Michael Hyatt (http://michaelhyatt.com/why-you-should-take-a-nap-every-day.html) he points out that taking just 20 mins per day can restore alertness, prevent burnout, heighten sensory perception and increase productivity. From what I hear, most professional sports people take naps after training as part of their training regime. Again, another great article – keep up the good work. Congratulations on the new arrival! Hope life settles down again soon. Thats an interesting point about the naps. I’ve never really mastered the art of napping – it takes me about 20 minutes to get to sleep. Anyway, I think I might look up the advice and see if I can give it a go.